We are a RIBA Chartered Practice providing Architectural Services in Northamptonshire and the surrounding counties. Ron Sheffield, the managing director, has over thirty years experience, he and his team can offer you an "integrated all in one service" in conjunction with our associates. 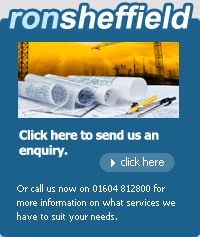 Whatever your specific requirements, we will be pleased to advise you. Our Residential and New Build portfolio includes new houses, house design, extensions, cellar conversions, garage conversions, loft conversions, granny annexe and orangeries/garden rooms etc. We specialise in Conservation, Listed Building renovations, extensions and building in Conservation areas. We provide Historic Building and Heritage Statements for planning permission and technical advice on restoration and design for Conservation schemes. Our Commercial portfolio includes office/factory to flat conversions, showroom conversion, Building use, Option studies and Change of Use. 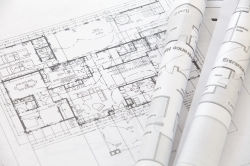 We provide a complete range of architectural services from initial inception, design, land use studies, measured surveys, brief preparation, feasibility and pre-planning, preparation of Planning Application drawings/ documents and Building regulation drawings..
We aim to achieve a seamless process between the phases of a project.